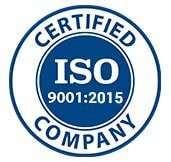 Juego Studios is proud to announce that we’re now an ISO 9001:2015 certified company. The ISO 9001:2015 standard involves a process-oriented approach to defining quality management systems to provide products and systems that satisfy customers and other relevant regulations. As technology enthusiasts, we’re passionate about producing high-quality games and applications that surpass expectations. To this end, all of our processes are geared towards obtaining the best possible results at every step of the way. We employ state of the art IT security systems and processes to ensure that all client information, project assets, and source codes are kept confidential and safe from digital threats. Our team of artists, developers, testers, and managers are constantly educating themselves with the latest developments in their field, allowing them to bring a fresh perspective to every project. We use a combination of the latest software, hardware, devices and technologies to design, build and test all of our games and applications. We treat every game and product we make to rigorous quality checks at every single stage of development. From conceptual development to UI/UX design, we take steps to ensure that every aspect of our work meets industry standards. We have a stringent checklist of criteria to be fulfilled before a product is deemed acceptable. Juego Studios has in-house QA team follows a meticulous process to test the various versions of all the products we develop for bugs and glitches on all compatible devices. Every error is logged and documented for review and analysis by our development team. Our coders and programmers are trained to isolate, track down and fix problem areas. We put special efforts into documenting the design and development of our projects through case studies so that we can learn and evolve from all of our efforts. Whether it’s building an immersive VR simulation or a gamified training application for a business, Juego Studios commitment to quality remains unwavering.